I can't believe it has been so long since I wrote one of these posts and I will have to apologise now because it is going to be a long one. I shall add a few book trailers in so you can rest in between! 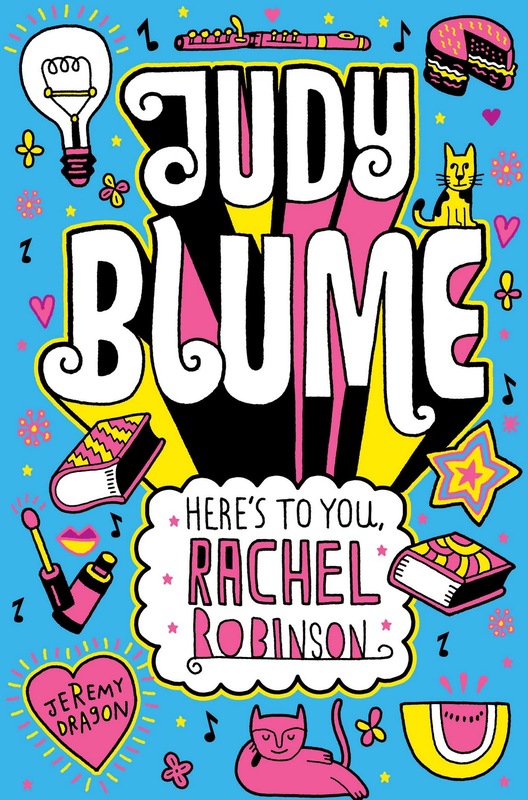 First up the winners of the Judy Blume competition. 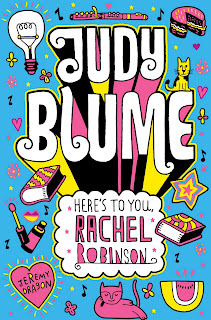 The prize was to win three books from the Judy Blume collection which Macmillan Children's books have just reissued with gorgeous new covers. There were to be three winners for the competition. Congratulations ladies, an email will be winging its way to you this morning for your addresses. Thank you to everyone who entered this competition. Sorry for the people who didn't win, but do look out for a new competition very soon. Congratulations Mary. An email is on its way to you this morning for your address. Celia Rees has a new book out next year called This Is Not Forgiveness and I thought I would share the trailer with you. 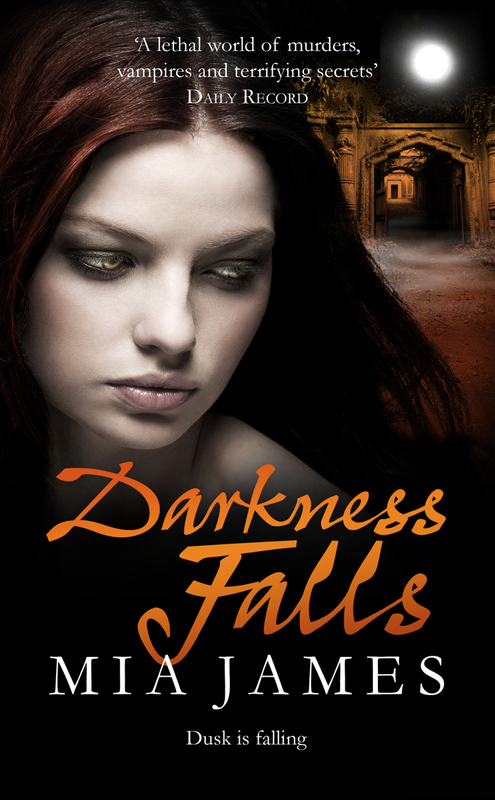 Egmont UK have a shiny new teen/YA imprint coming out in 2012 and they have some awesome books coming out on it. They chose on the name Electric Monkey as the felt it would be instantly attention grabbing. They plan to launch the first ten books between January and June 2012. Here are two that have caught my eye. 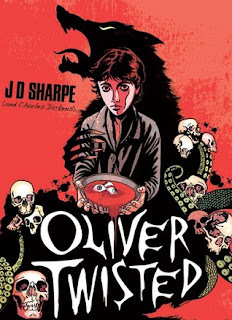 Oliver Twisted by JD Sharpe. Think Oliver Twist but with vampires! JD Sharpe presents us with a retelling of Oliver Twist with a huge twist! I am really excited about this book. I am sure it is going to be huge. Don't they sound fantastic? And they are just two of the delights on offer from Electric Monkey. Look out for more news about Electric Monkey soon. Avenger's Angel is due out at the end of this month and it looks super hot. Here is the trailer. Lots of news from some of my favourite authors this week too. The fabulous Keris Stainton has signed a deal to bring out a new book with Orchard next year. It will be called 'Emma Hearts LA' and features Emma, Jessie's friend from 'Jessie Hearts NY'. Keris is on her way home from California this week after doing some research out there. What a glamorous life these authors lead! Some news concerning Guardian Teen Books and Random House. 'Guardian Teen Books has partnered with Random House for a new interactive, serialised story called Root - a fast-paced thriller set in the shadowy world of computer hacking and espionage. Every weekday for six weeks a new chapter will be released on guardian.co.uk/teen-books. The content will be directly influenced by readers’ contributions, such as their ideas for characters' personalities and skills. 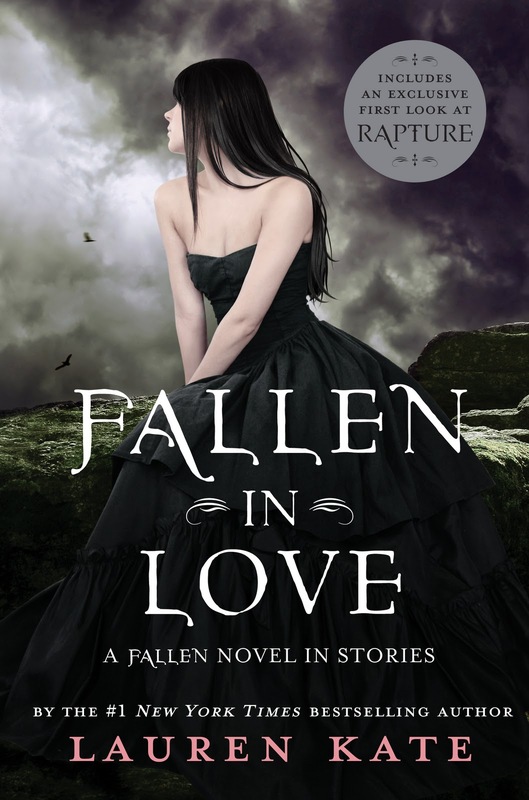 The two covers have just been released for the two new Lauren Kate books 'Fallen In Love' and 'Rapture'. I thought you would like to see them. I got sent a link for this a couple of weeks ago and I really wanted to share it with you. It is the map of Highgate which relates to the Mia James books 'By Midnight' and 'Darkness Falls.' All the interesting places from the books are pinpointed on the map for you to see. 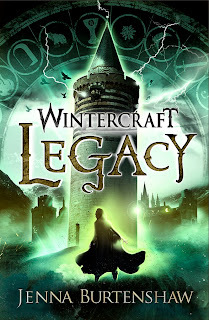 Another favourite author of mine, Jenna Burtenshaw reveiled the new cover for the final part in her Wintercraft trilogy. Legacy is out on the 10th May 2012. I can't wait! Finally, Zoe Marriot, another one of my favourite authors, revealed her huge news this week. This is what she printed on her blog this week. She has just announced her first trilogy to be released by Walker Books. THE KATANA TRILOGY. A breathtaking new urban fantasy trilogy from the critically acclaimed, award winning author of The Swan Kingdom and Shadows on the Moon. Seconds away from becoming kitty-food, Mio accidentally releases Shinobu, a warrior boy who has been trapped within the sword for centuries. He saves her life and sends the demon running. But it's already too late. Mio has ruptured the veil between the mortal realm and the Underworld, and now the gods and monsters of ancient Japan stalk the streets of London, searching for her and the sword. The Night Itself, Book One of THE KATANA TRILOGY, is due for publication in summer 2013 from Walker Books, publishers of Cassandra Clare's The Mortal Instruments Series and Patrick Ness' Chaos Walking Trilogy. Phew! I think that is enough news from me today. Might need to go and lie down after all this excitement. Oh thank you so much Vivienne :D I shall be re-introducing myself to Judy Blume as well as foisting her on my lot as well. Congratulations to the winners! I'm not usually a fan of books like that, but I'm very curious about Oliver Twisted. Great post filled with so much exciting stuff! I love the sound of Electric Monkey (and what a brilliant name)! Puuh that was some wonderful news you've gathered in this post, Vivienne. Electric Monkey was a very unusual and cool name! Certainly one that I'm not going to forget. Can you believe that I actually pre-ordered Wintercraft by Jenna Burtenshaw but I still haven't gotten to it? I loved the Avenger's Angel trailer, it was fab. 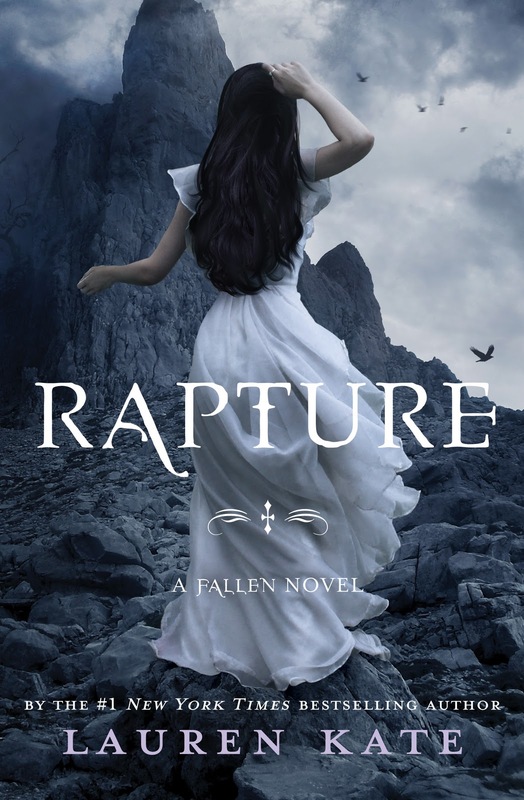 I think I need to read Zoe Marriot's books, her latest novel sounds so good! congrats to the winners. Interesting updates here, I'm intrigued by Oliver Twisted. Susan - I hope you enjoy them. Carmen - I hope you love them too. Bermudaonion - I am so excited about Oliver Twisted! Jenni - the books from Electric Monkey will blow your mind. Mari - I think Electric Monkey is going to get a lot of attention. You must read Wintercraft and The Shadows On the Moon by Zoe Marriot! Naida - me too. I can't wait to read that one. LOL! That IS a lot of excitement. ;) And those Judy Blume covers are WAY too fun. I love how retro they look.